CAUTION: Access to our office is ONLY available from Maritime Drive. Click here for detailed detour information. ClearCorrect is a series of clear, plastic aligners that straighten your teeth without the usual noticeable, bulky materials involved with traditional braces. No one will know you’re improving your smile unless you tell them! At Amato Orthodontics, we look forward to seeing you smile! 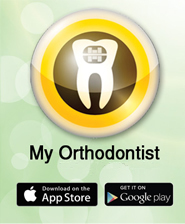 View appointments and account balances on this free app! The only requirement is having your email address on file in our office. We are committed to using only the best scientifically proven techniques for your orthodontic treatment.